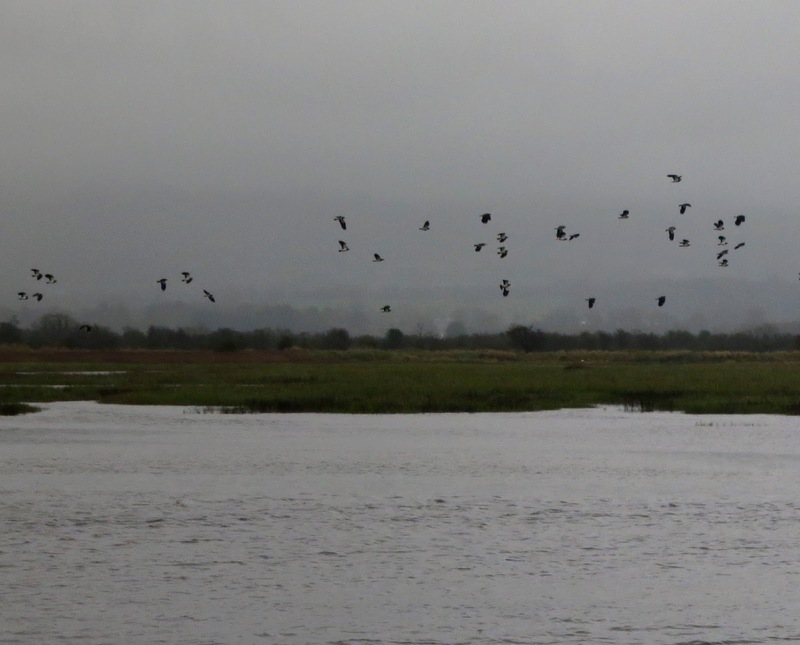 Outing to Dundalk Bay on Sunday 15th November. We left for Dundalk from Bailieborough at 9 am on what was a very wet November morning. By the time we reached our first stop, Annigassin Harbour, the weather conditions had improved considerably. 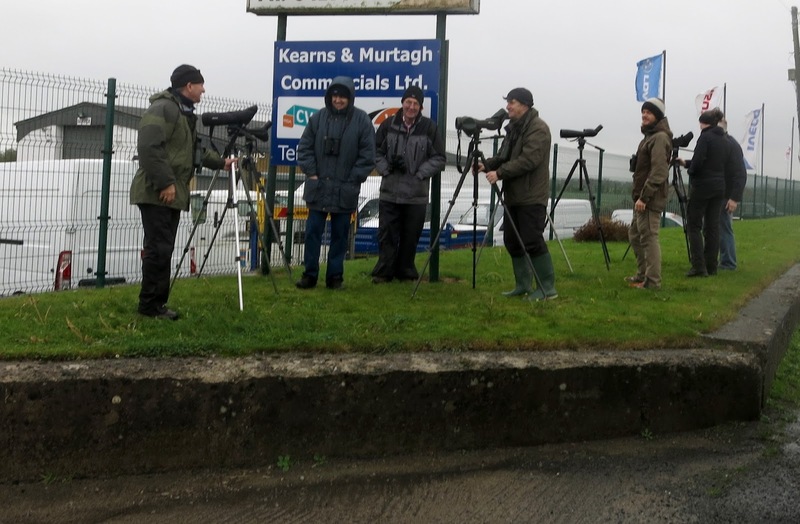 At Annigassin, we spent a short time observing the many waders and gulls before moving to our next stop, Seabank at Castlebellingham. Seabank is a great site to watch waders- as high tide approaches the views of lapwing, golden plover and black tailed godwits in flight can be stunning! We were not disappointed and enjoyed watching the birds gather here as the tide came in. En route to our next destination, the Oscar Merne hide at Lurgangreen, we stopped to view the large flocks of geese in the fields close by. Here we viewed graylag and white-fronted geese and large numbers of curlew, some ruff and golden plover. Also present amongst the geese flocks was a pink-footed goose- a real treat! The tide was high when we arrived at the Lurgangreen hide. It was nice to have shelter from the elements and to view the birds from the comfort of the hide! After a short stop for coffee we finished up the day at the Dundalk docks. 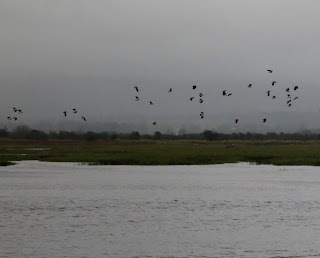 Here we enjoyed watching cormorants feeding and lapwings returning in to feed as the tide levels dropped. 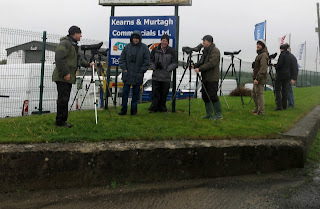 A special thanks to Gerry O' Neill for keeping us posted on what birds were present in the area and to both Gerry and Peter for meeting up with us at the hide.